court frees suspected bomber (Aminu Ogwuche). A Federal High Court in Abuja today, November 24, dismissed two counts of terrorism-related charges which were levelled against Sadiq Aminu Ogwuche. The suspected mastermind of the Nyanya bombing, Sadiq Aminu Ogwuche has been cleared of all charges by a court in the Federal Capital Territory. A Federal High Court in Abuja today, November 24, dismissed two counts of terrorism-related charges which were levelled against Ogwuche. Ogwuche was extradited from Sudan after supposedly fleeing there to escape from authorities in Nigeria after the bombing. 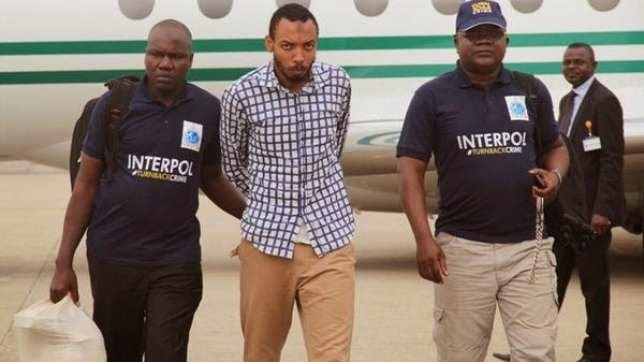 After his arrest, Ogwuche reportedly told investigators of the State Security Service (SSS) that he had no regrets over the attack as he enjoys killing people on Allah’s instructions. Two explosions rocked the busy Nyanya motor park in Abuja on April 14, 2014 leaving hundreds of people dead and many others injured.